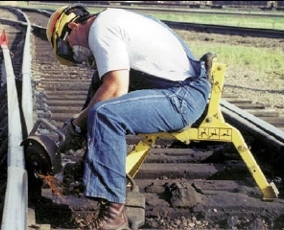 Designed for working in a variety of difficult access work areas. Ideal for maintenance, inspection or production environments. It puts you at the right angle! 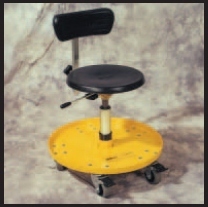 The tilting seat with articulating back, shoulder, neck and head support allows users to safely and quickly orient themselves to the work surface. Stable, mobile and adjustable, the 106 allows for efficient and comfortable task performance. 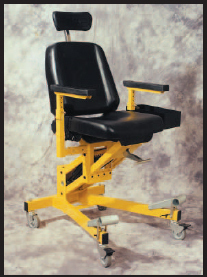 Simply put, the ChairMaster is the toughest and most stable work seat available. With a contoured seat and fully articulating back, the lowmaster provides proper back, shoulder, neck and head support throughout its full 80o range of motion. 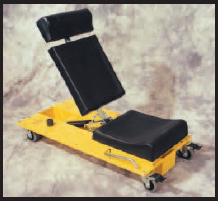 Navigate around low slung obstacles requiring frequent repositioning of angle on back while offering total body support. 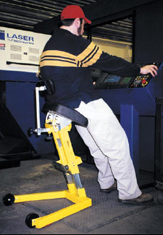 The 109 is the leading edge in low profile work access support equipment. 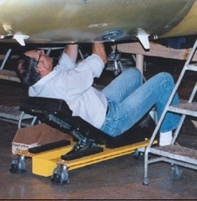 The BatWing truly represents the leading edge in low profile work access support equipment. Designed specifically to provide ground level access to welding, grinding, and general mechanical applications. 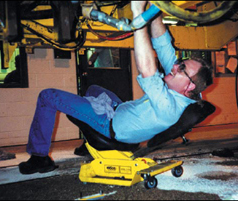 The WeldMaster allows work to be performed safely at or near ground level. The 110 also makes a unique all weather seat for any application. 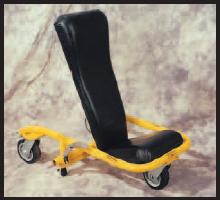 Adjust the back rest and slide into position. This product is highly mobile on a variety of surfaces. 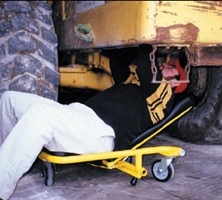 When tough and practical is all you need from a heavy duty yet easy to maneuver work positioner. 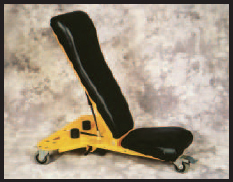 Designed to provide lower back relief where prolonged standing is required. 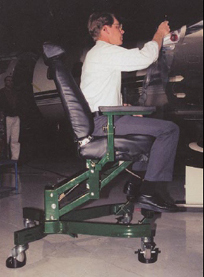 Tilting swivel seat floats or locks solid as required. 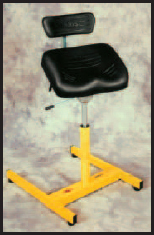 Contoured seat and back support are fully adjustable. 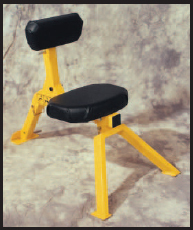 Designed at the request of our larger customers who desired a safe work station with a wide range of adjustability for use in demanding manufacturing and maintenance environments. This fully adjustable work station is constructed of steel for years of industrial service. 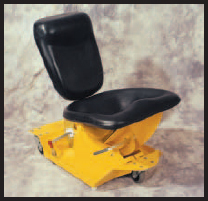 With a footprint about the size of an office chair, the Ranger is well suited to demanding environments that destroy lesser products in short order.